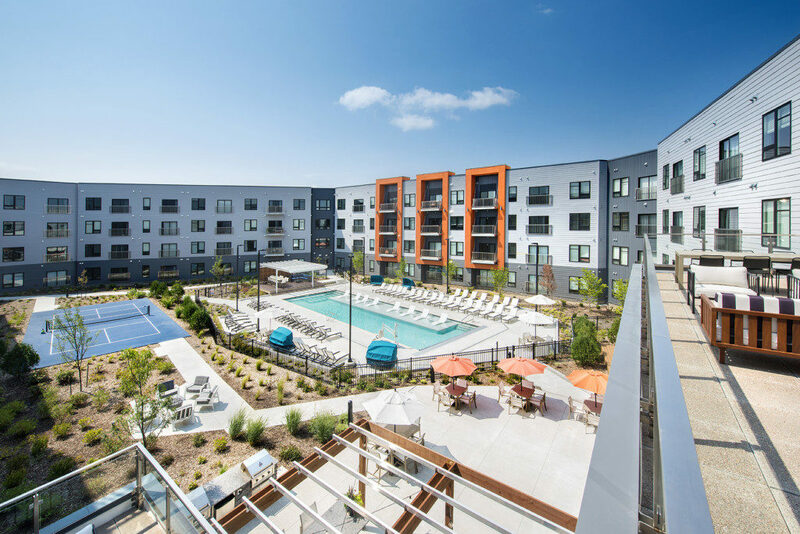 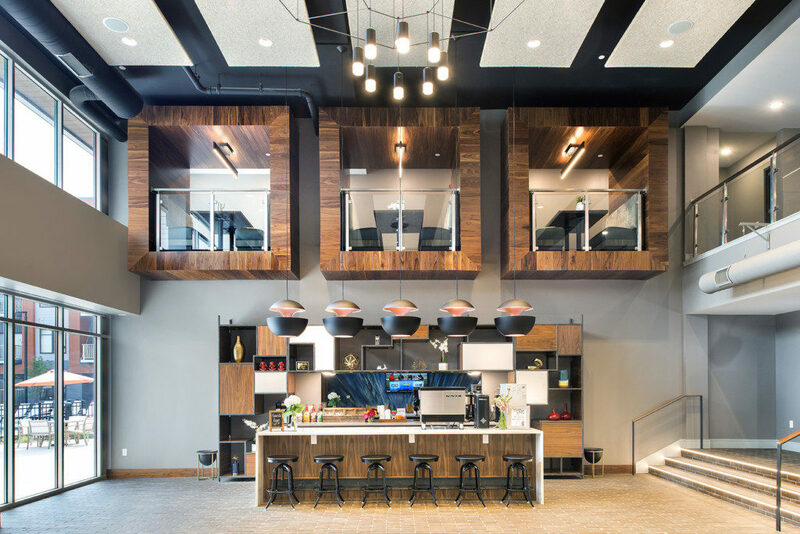 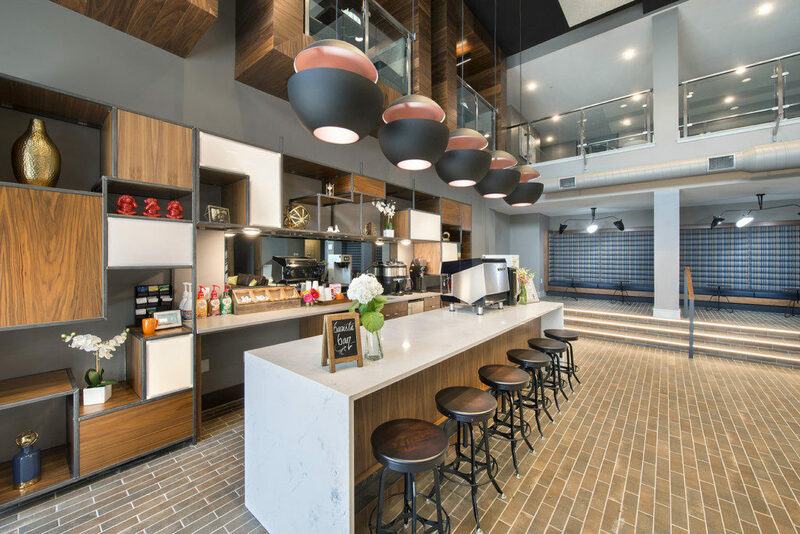 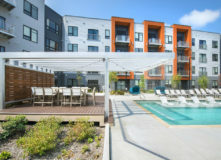 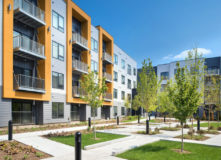 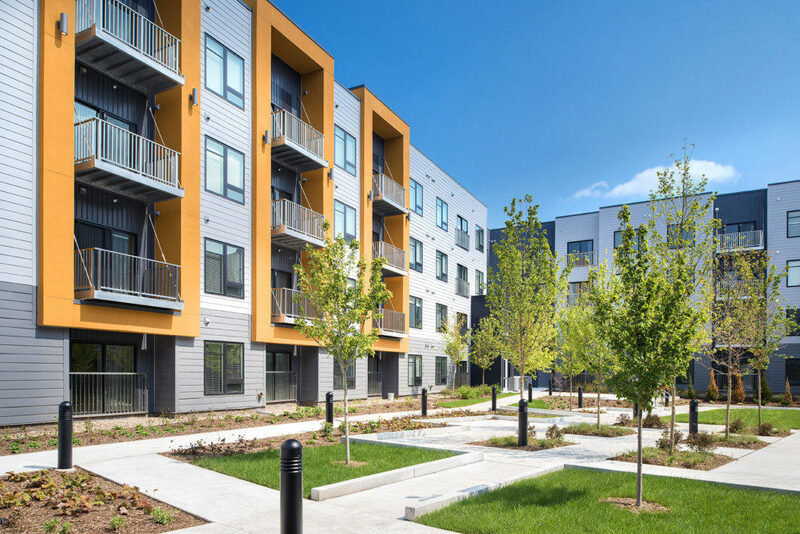 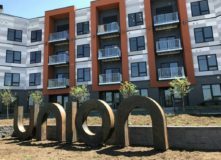 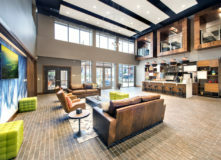 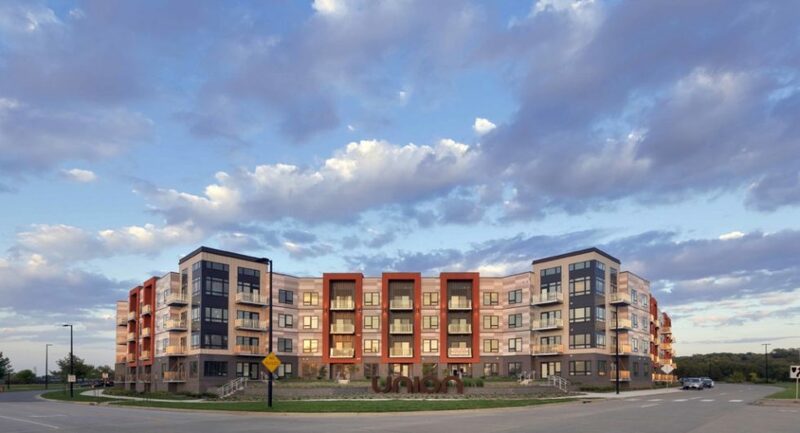 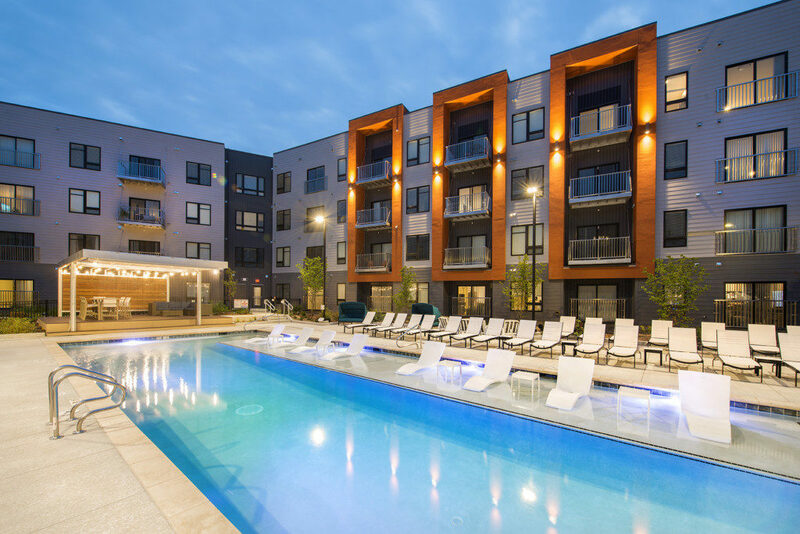 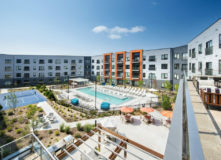 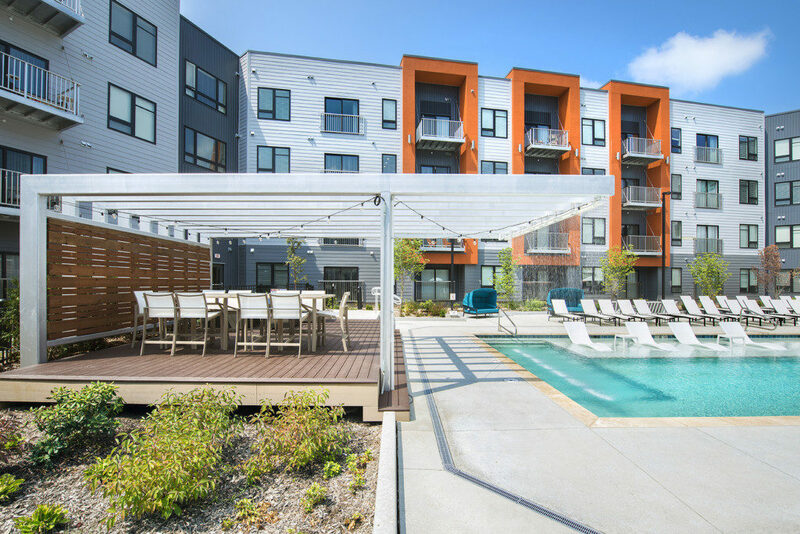 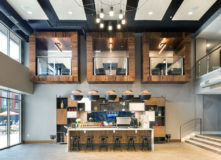 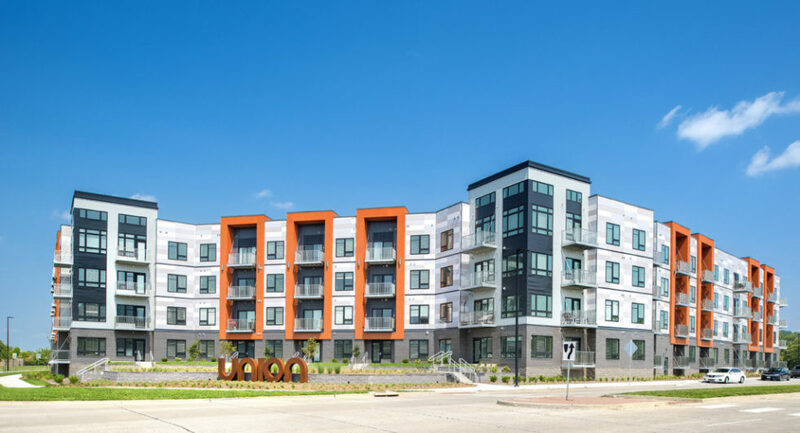 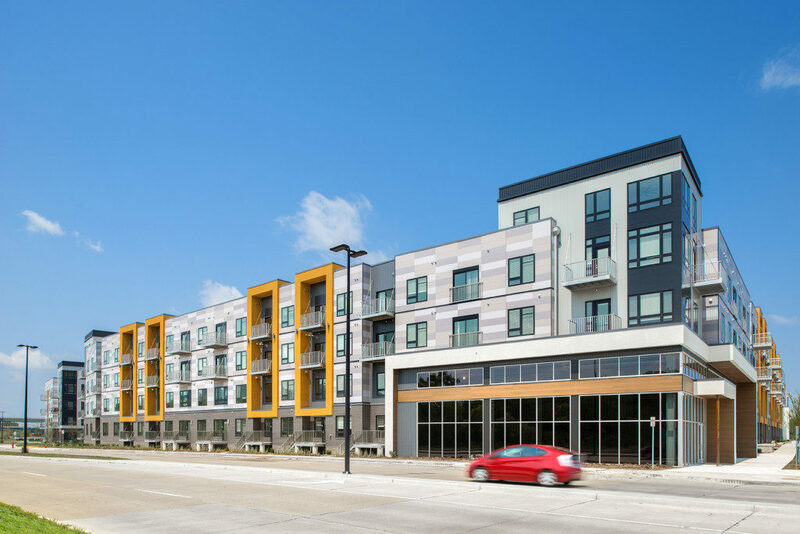 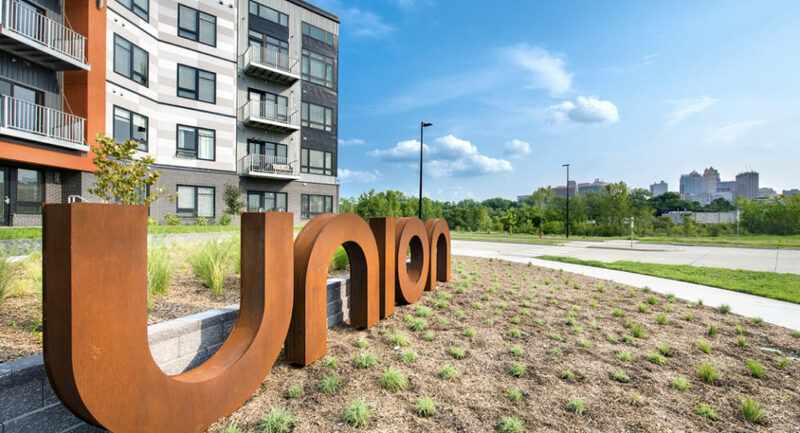 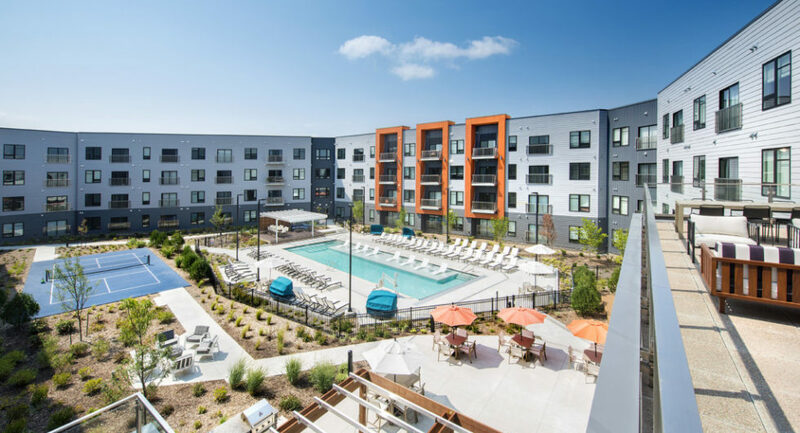 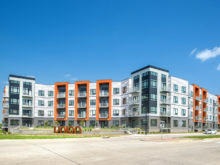 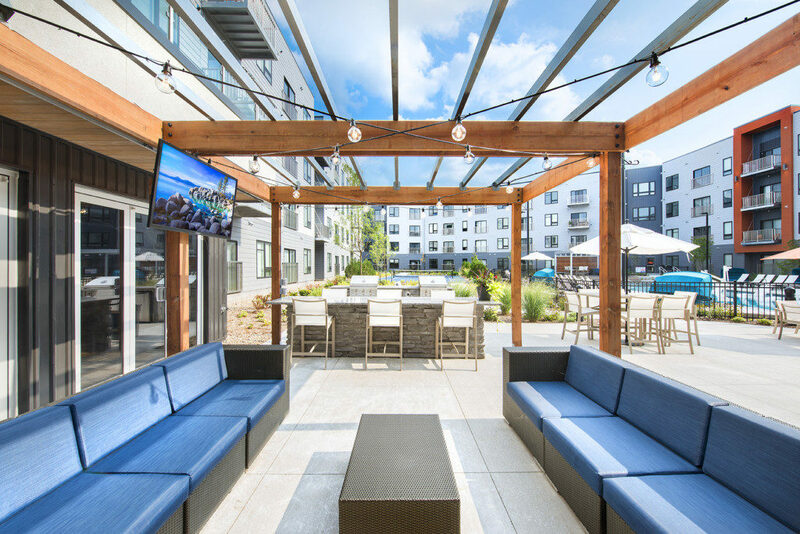 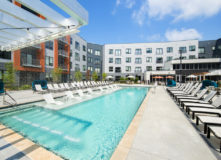 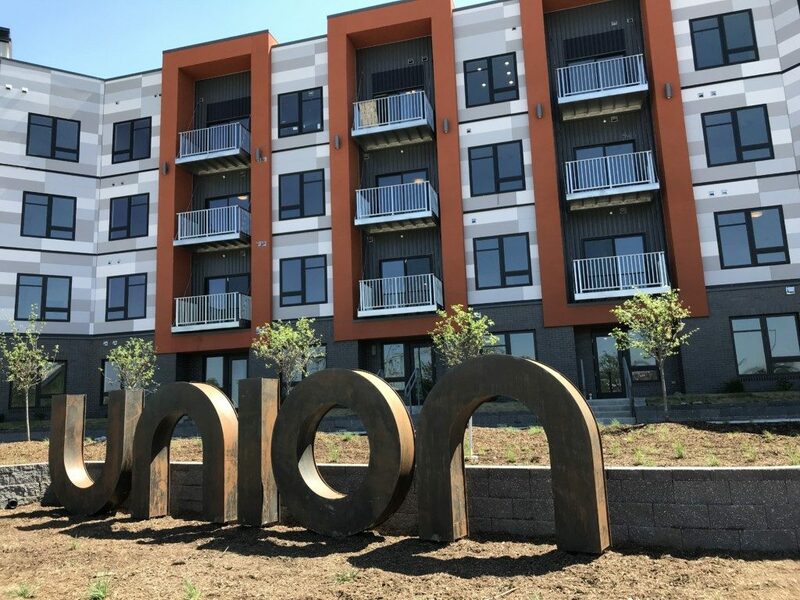 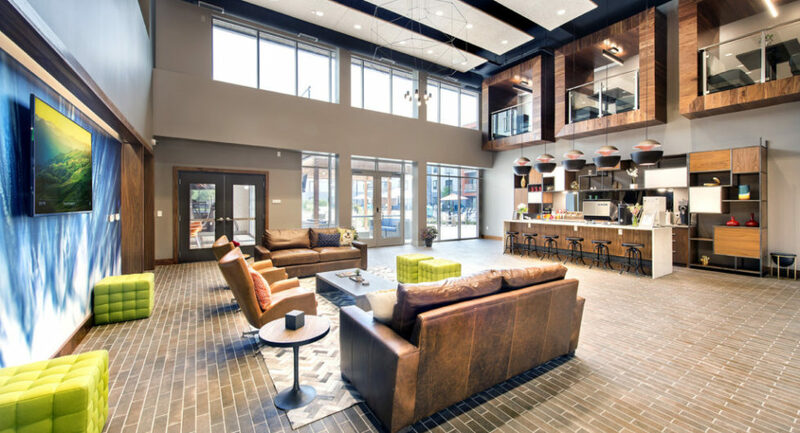 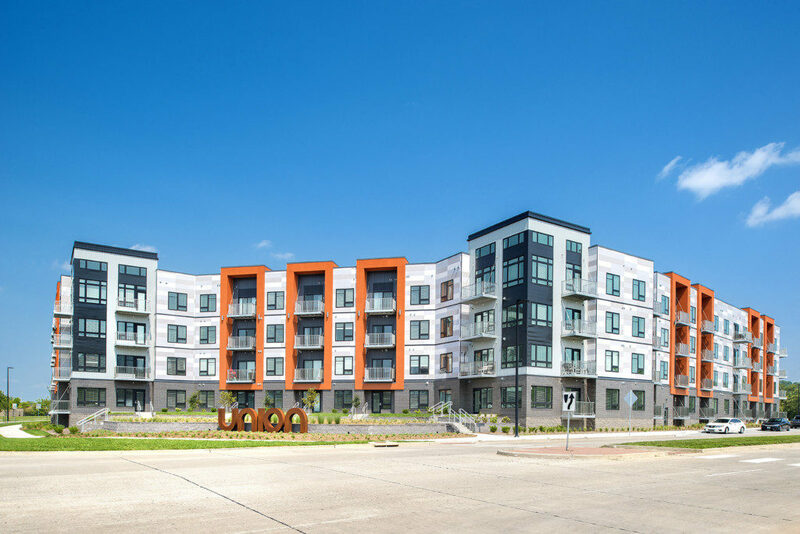 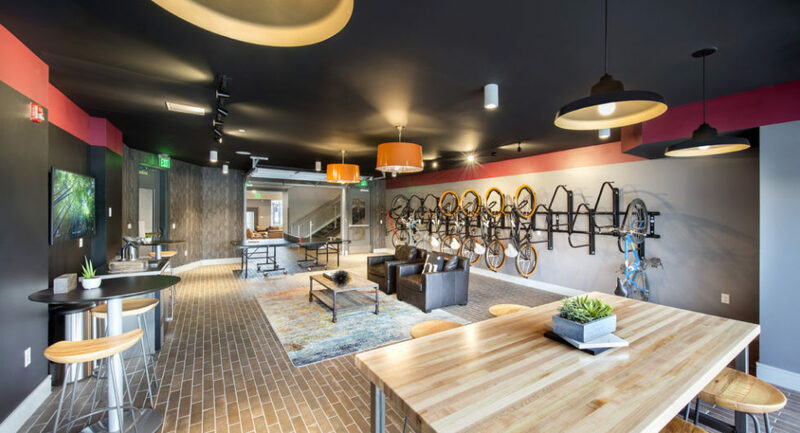 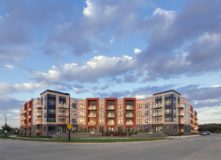 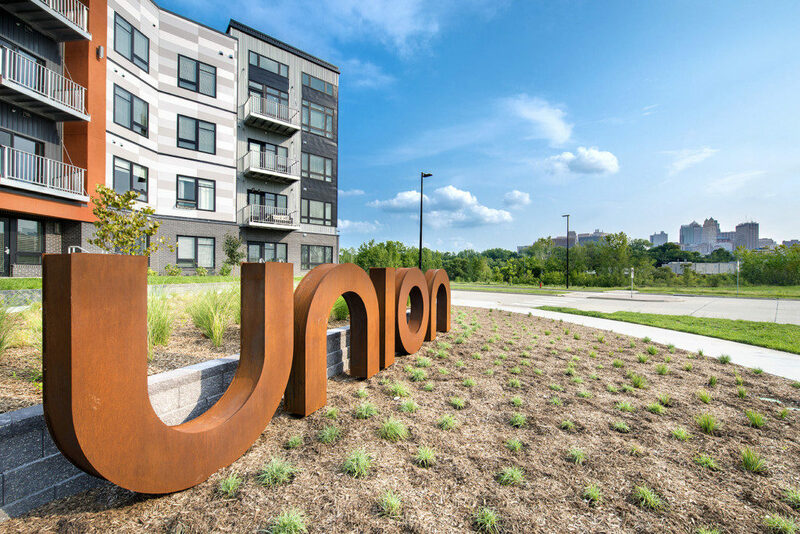 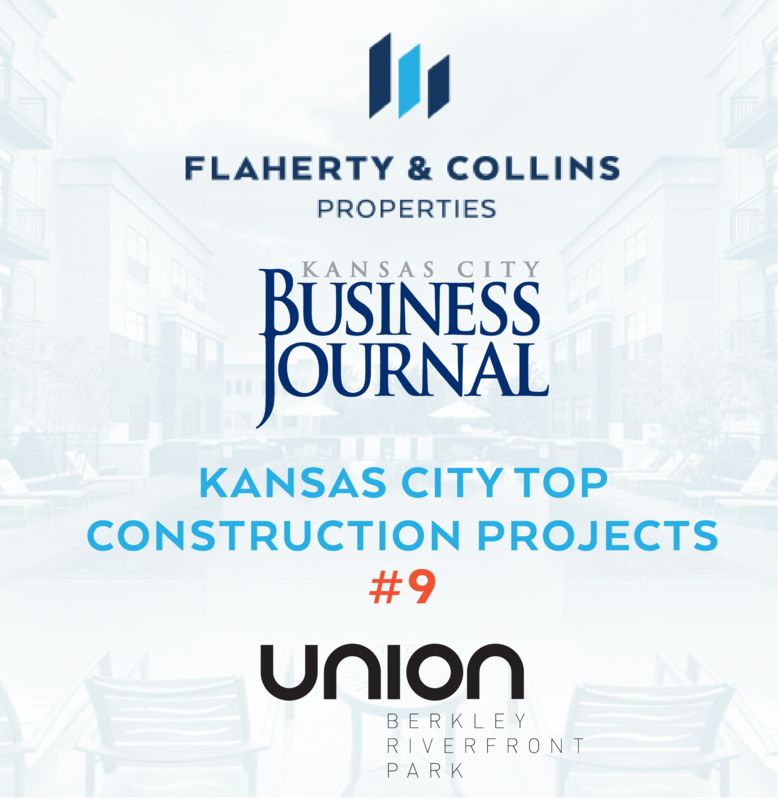 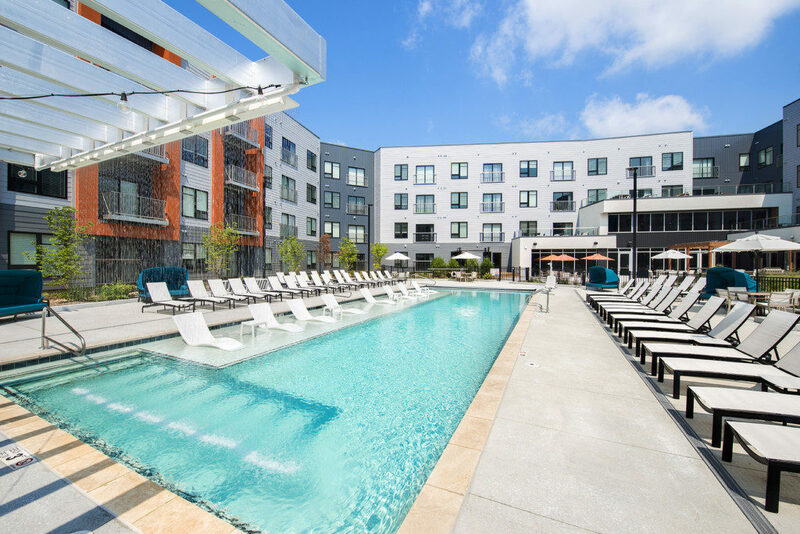 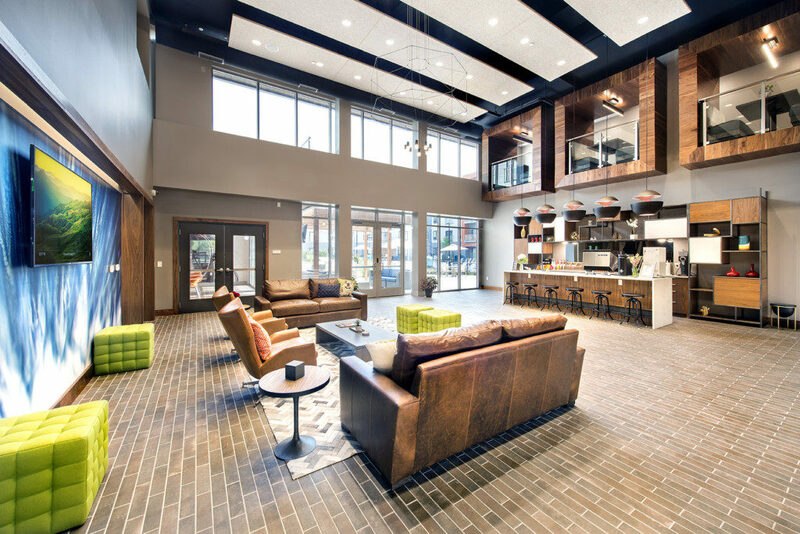 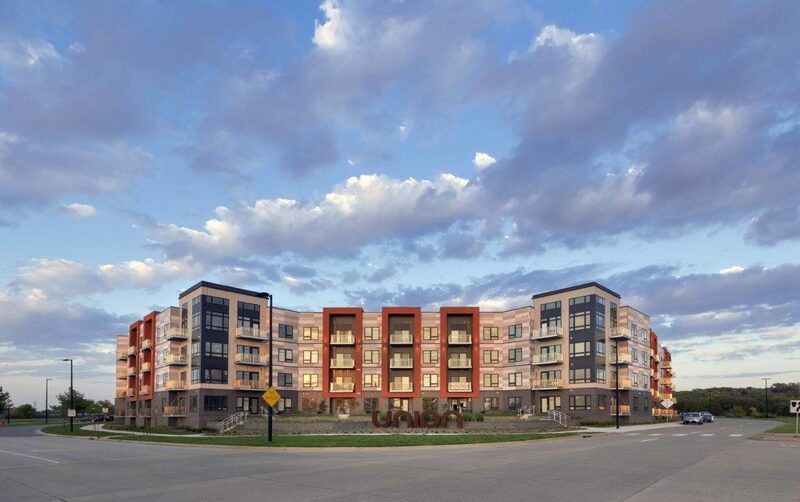 Union | Berkley Riverfront is a $80 Million development, comprised of a premium, luxury mixed-use residential mid-rise project consisting of 410 luxury apartments and 12,400 square feet of retail space. 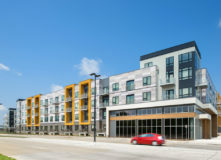 400 parking spaces, to be used by residents and retail customers, will be housed in a secure garage on property. 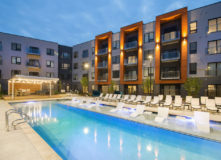 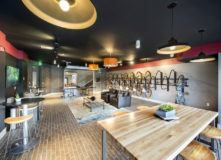 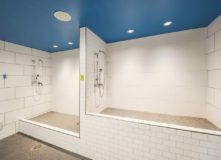 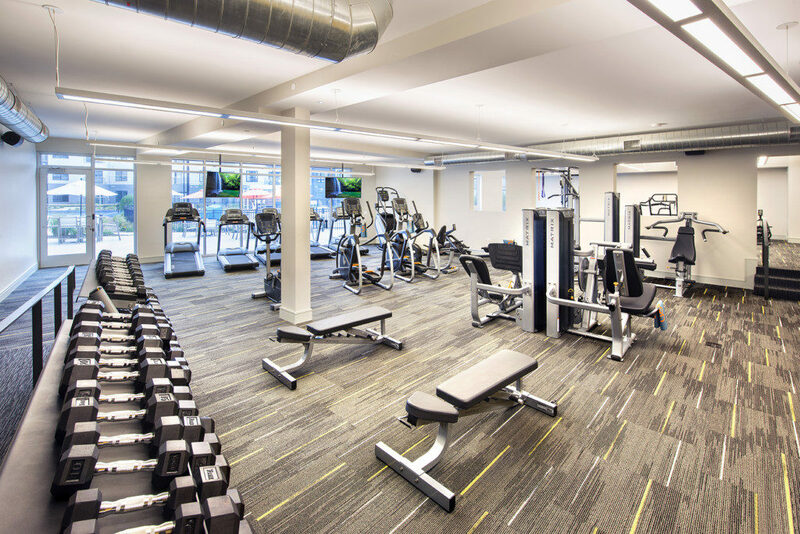 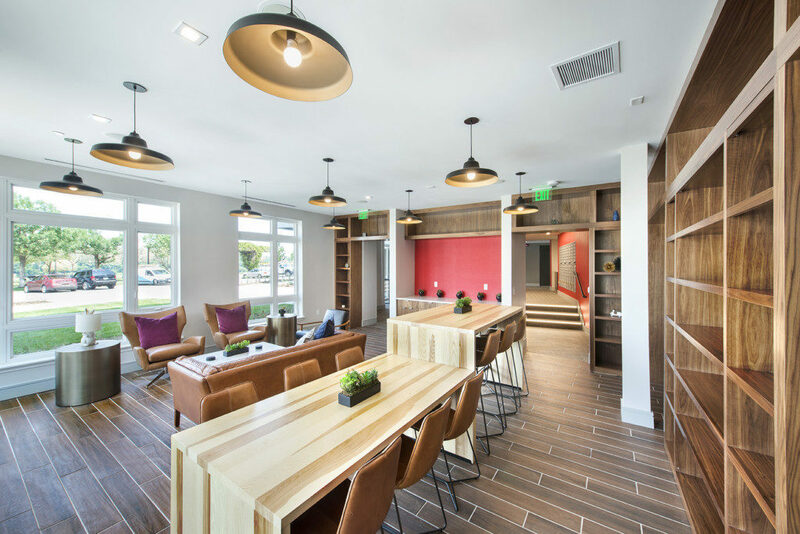 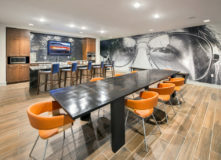 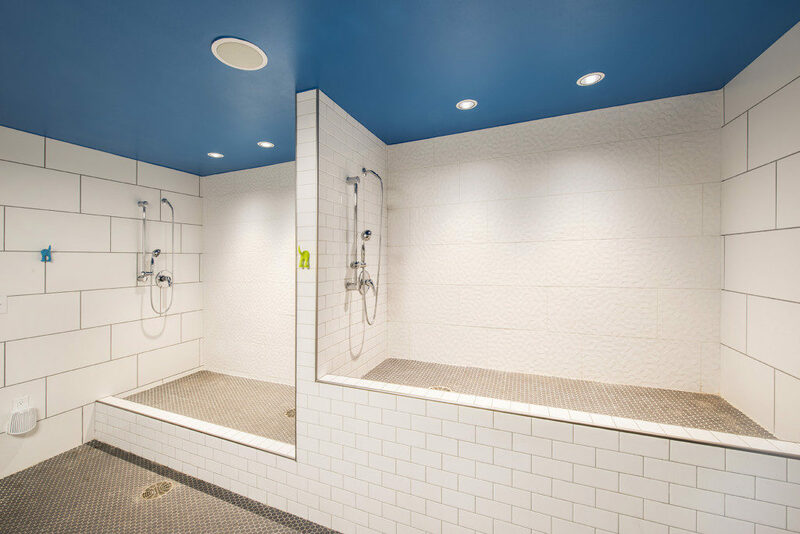 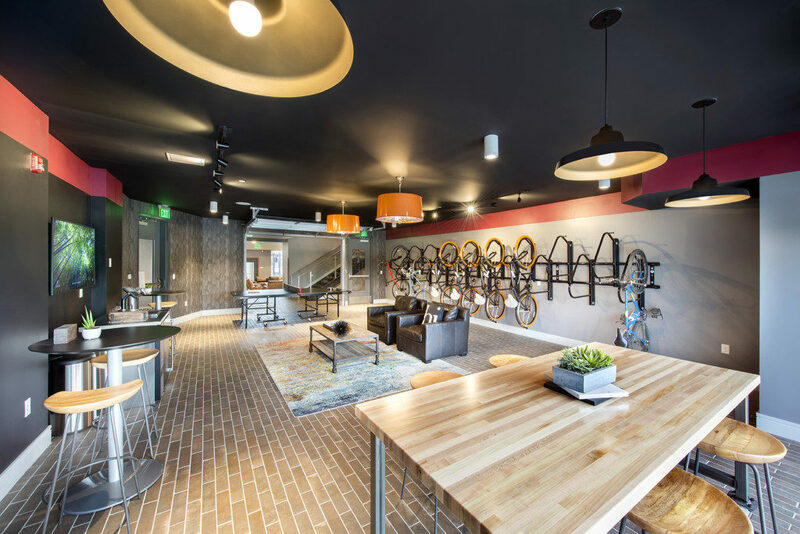 Residential Amenities & Features include: 1st Floor Bar / Coffee Shop, High Speed Wi-Fi Throughout, 1,600 square foot Fitness Center, Yoga Studio, Group Cycling Studio, Resort-Style, Heated Saltwater Pool Wet Deck & Hot Tub, 20,000 sq. 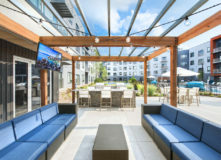 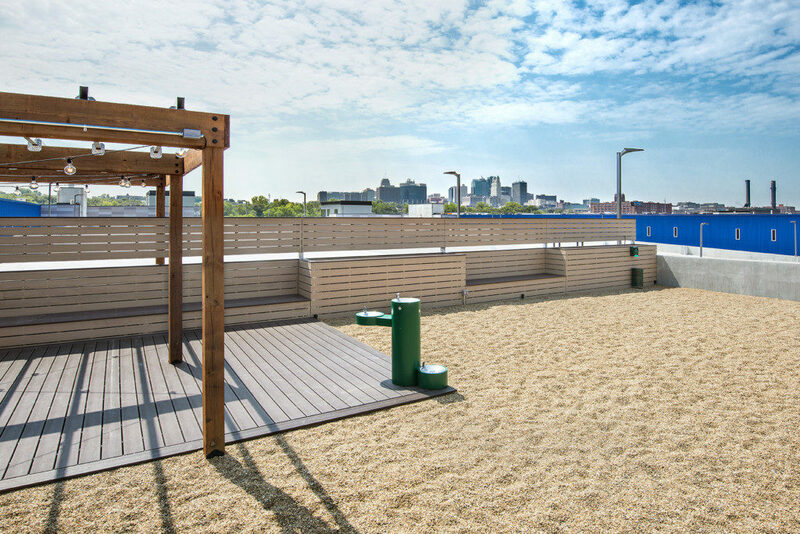 ft. of Outdoor Courtyard Space, Outdoor Living Room w/ Fire Pits and Commercial Grade Grills. 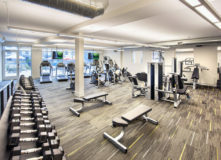 A1,600 sq. 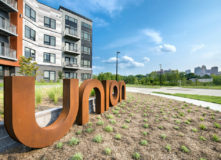 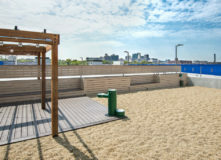 ft. Elevated Bark Park with Dog Express Course will also be on site, as well as a Bike Shop featuring Repair Tools, Stands, TVs, Ping Pong and Beer Tap. 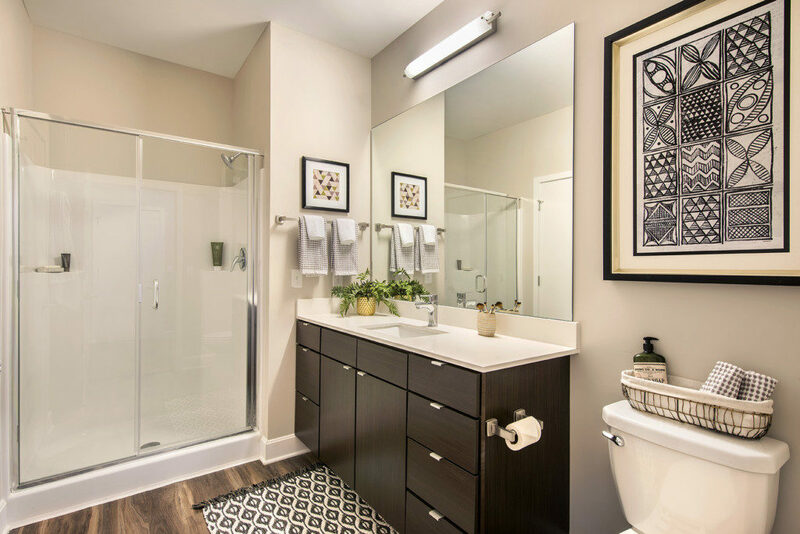 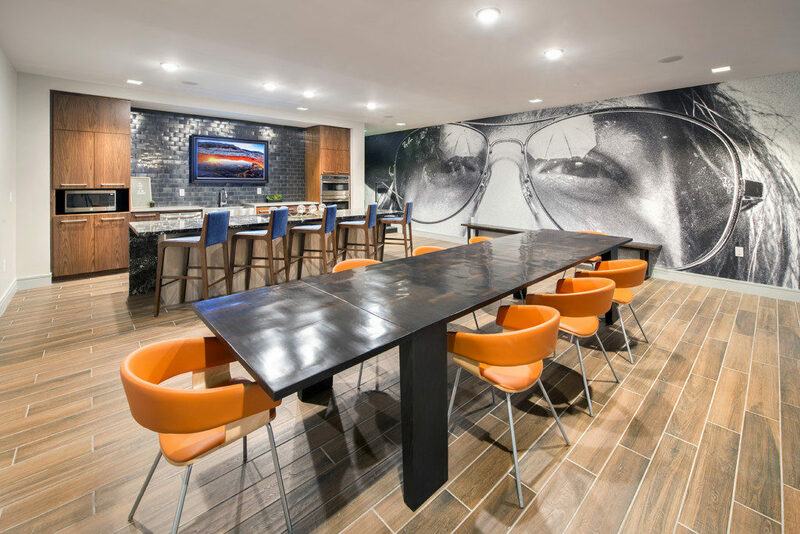 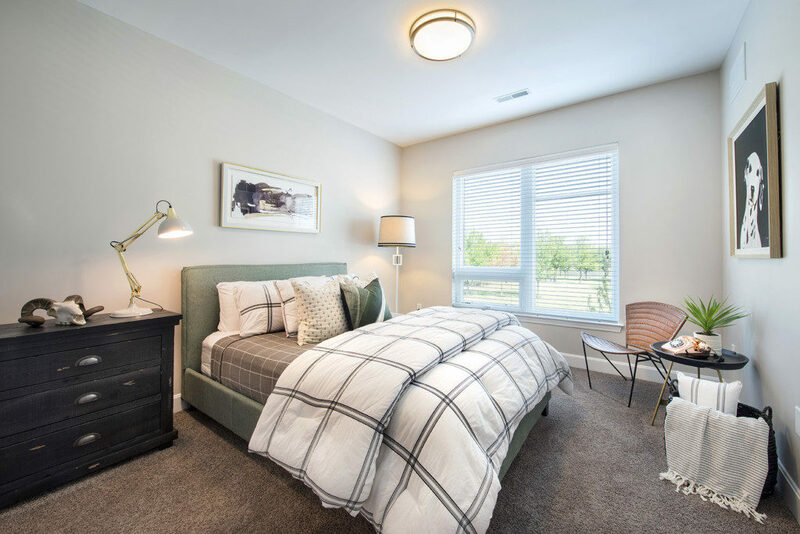 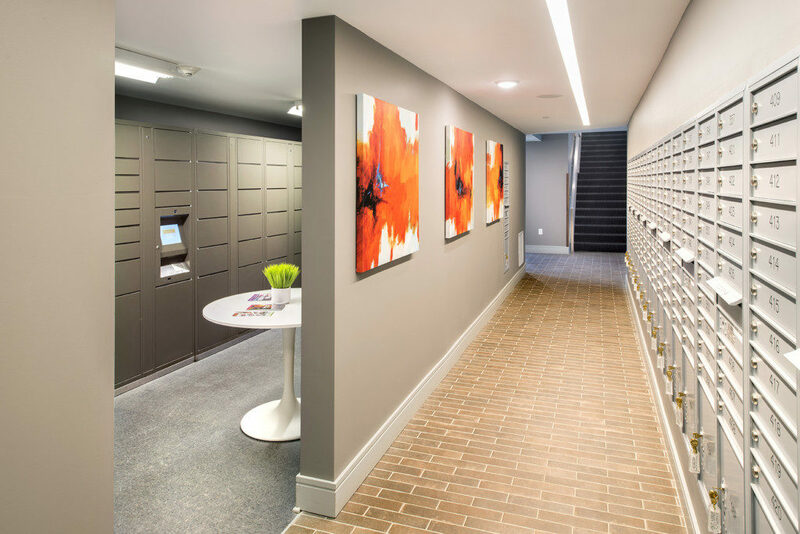 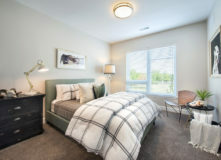 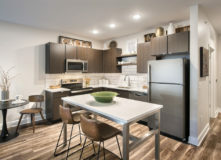 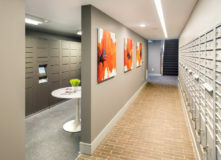 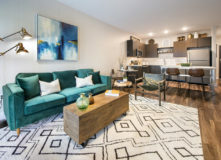 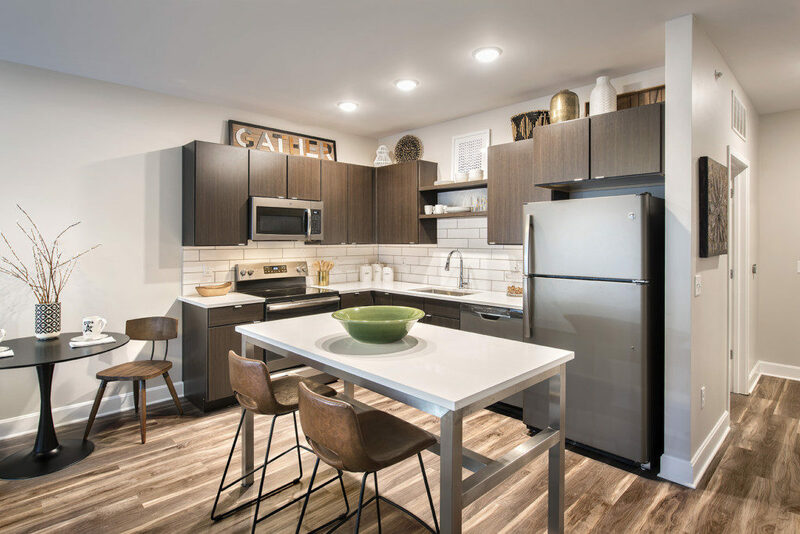 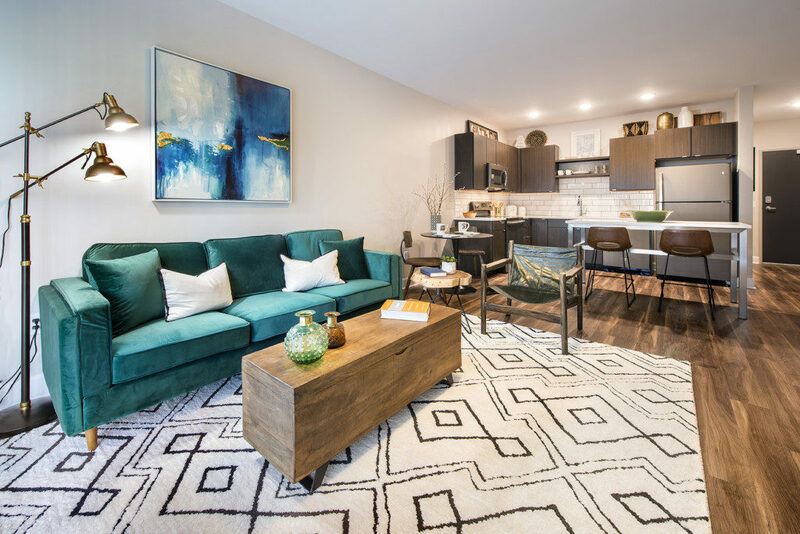 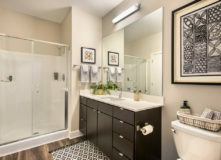 Apartments feature LED Lighting, Flat Slab Kitchen Cabinets w/ Custom Hardware, Full Size Washer & Dryer, Lyric Smart Thermostats, Quartz Countertops, and Premium Carpet.